WOMEN IN THE US will eventually earn as much as men, but they’ll have to wait more than four decades. According to a new report by the Institute for Women’s Policy Research, the gender wage gap has been decreasing in the US: Women in 2013 made 78.3 cents for every dollar earned by men, up from 60.2 cents in 1980. The paper notes that from the 1980s to 2000, women began to catch up. However, in the last 15 years wages have stagnated for both women and men, leading to slower progress in closing the gap. Earlier this month, the UN said that, at the current rate, the worldwide gender pay gap won’t close for 70 years. Figures compiled by Eurostat show that an Irish woman’s gross hourly earnings are, on average, 14.4% below those of a man (up from 12.6% in 2008). Women comprise 46% of the Irish labour force (aged 20 to 64). However, only 33% of Irish workers at managerial level are female – this is also the European average. The 2058 date represents the average year US states will have equal pay for both genders. Florida is expected to get there first in 2038, followed by California and Maryland – both in 2042. Five states – West Virginia, Utah, North Dakota, Louisiana and Wyoming – won’t see equal pay until the next century. The latter isn’t expected to close the salary gap until 2159. 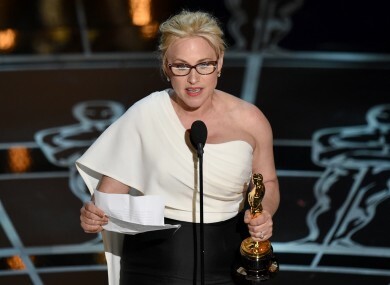 The issue came under the spotlight once again when Patricia Arquette used her Oscar speech last month to call for wage equality in the US. Email “Women will earn as much as men ... in 2058”. Feedback on “Women will earn as much as men ... in 2058”.